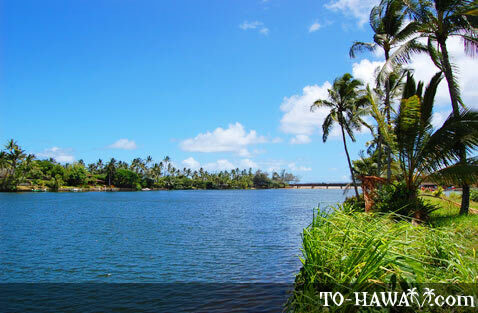 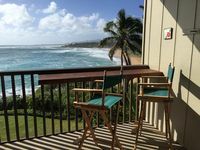 The Wailua River (see more photos) on Kauai is the only navigable river in the entire state of Hawaii. 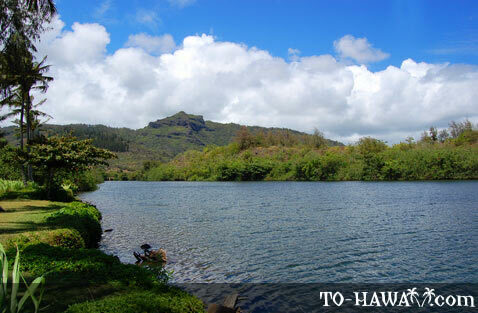 It is fed by two main waterfalls. 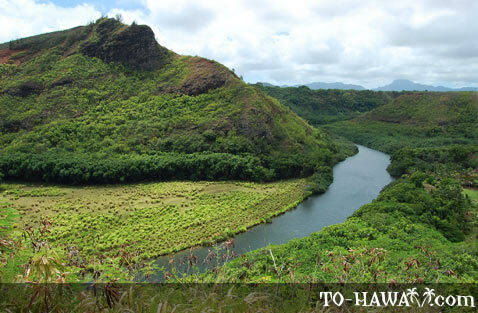 Rains from Mount Waialeale, the wettest location on Earth, with an abundant 480 inches (12,192 mm) of rain per year, also help to feed the river. 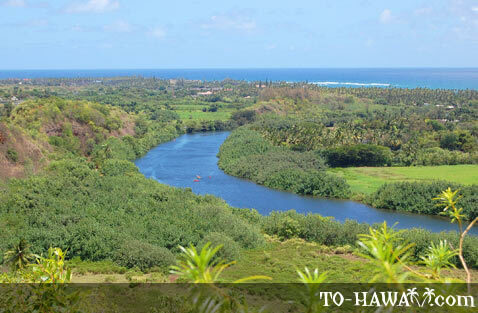 For those wanting a bit of a challenge on their Kauai vacation, a trip down the river to the legendary Fern Grotto is a wonderful way to see the beauty of the natural habitat of the “Garden Isle” up close. 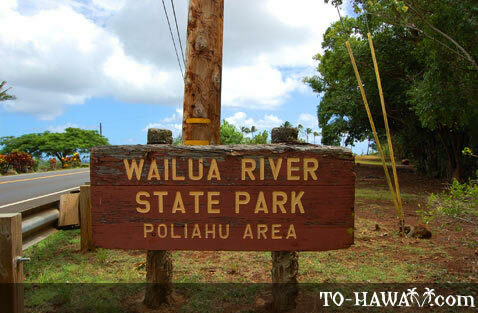 You can travel on the river by kayak or canoe. 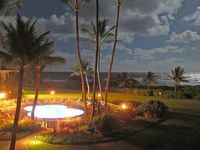 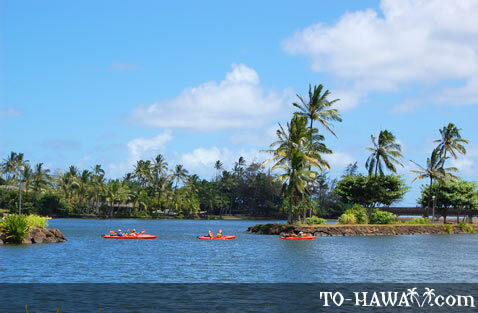 Boat tours are also available and will take you to Fern Grotto as well. 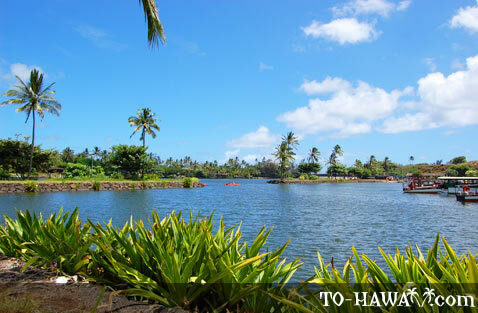 The boats are open-air and guarantee a 360-degree view of all the beautiful scenery. 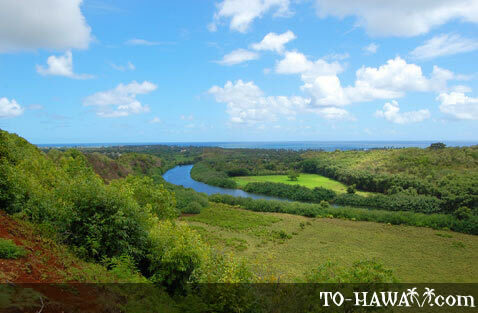 The luxuriant river valley once served as the capital of ancient Kauai. 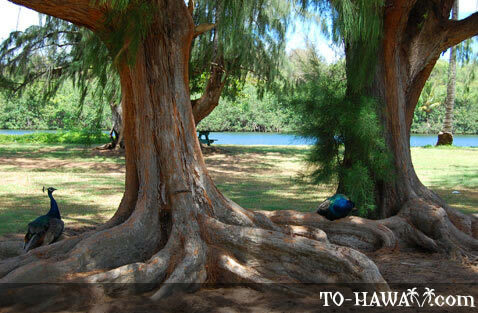 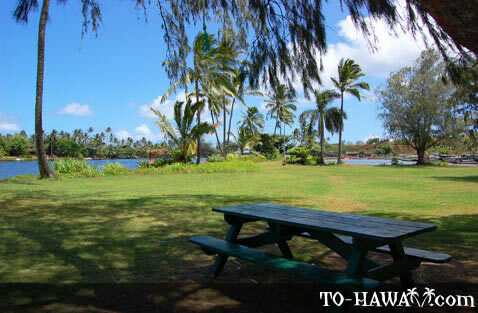 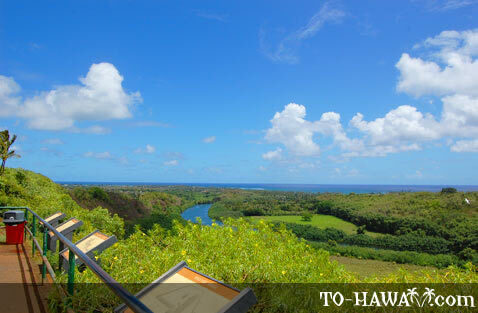 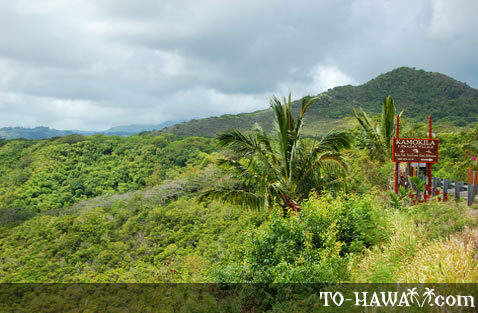 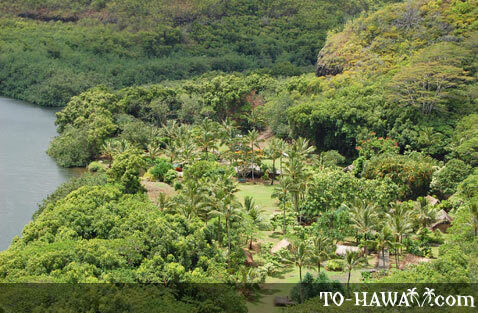 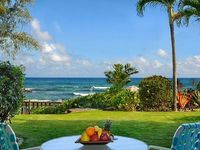 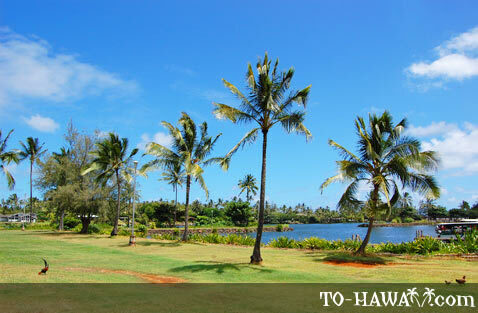 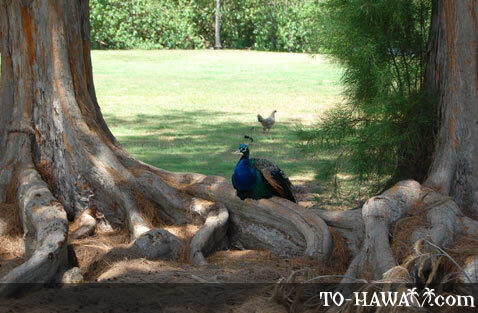 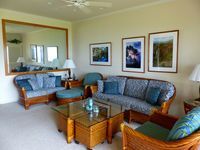 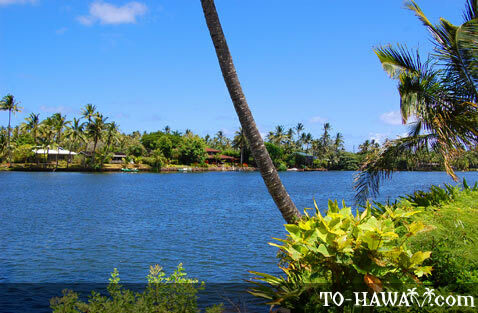 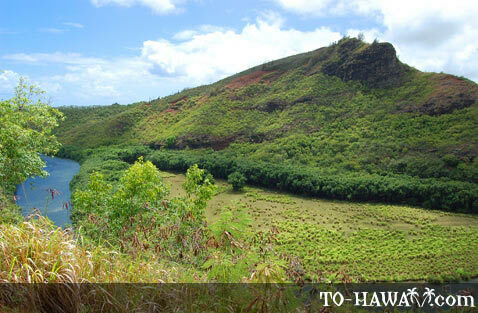 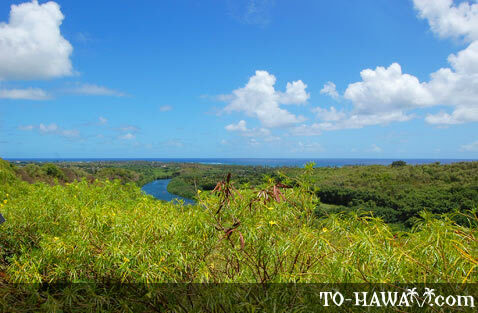 It was held to be a sacred place for the island’s “alii,” or royalty.